Emma is part owner of Whangaparaoa Veterinary Centre and has been a part of our team since 2007. Emma qualified from the University of Pretoria in 1995. A mixed animal practice in South Africa saw her treating animals for snake bites and other diseases we would consider exotic to New Zealand. 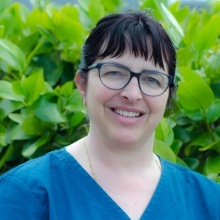 Emma and her husband immigrated to New Zealand in January 1997 where she has worked as a small animal veterinarian on the North Shore and at the North Shore After Hours Clinic for many years. Emma lives with her family on a life style block in Helensville. She enjoys all aspects of small animal medicine especially biochemistry and oncology and has completed further studies in clinical pathology. Shanti graduated from Massey University in 2000 and decided to head over the ditch to Australia where she worked in a mixed animal practice in rural Victoria. In June 2003 Shanti felt that the call of home was too great and returned to New Zealand. 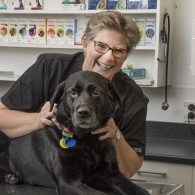 She has been working at Whangaparaoa Veterinary Centre since then and became part owner in 2009. 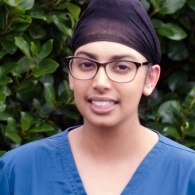 Shanti has a special interest in radiology and has completed further studies in this area. She also enjoys both soft tissue and orthopaedic surgery. Shanti and her husband, Graham, live in Gulf Harbour with their children, two cats and a bearded dragon. Monique qualified in 1993 from the State University of Utrecht, Veterinary Department. She worked as a Veterinarian for fifteen years in England. She was a partner in a mixed practice in Yorkshire for three years before setting up a new Small Animal and Equine Centre in Yorkshire with her husband. Monique immigrated to New Zealand in 2008 with her husband, three children, three cats and two dogs. 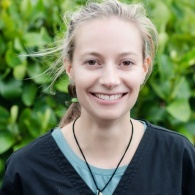 She has been working at Whangaparaoa Veterinary Centre since 2008 as a clinician and practice manager. 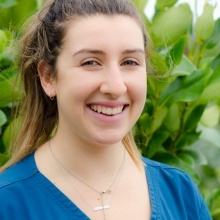 Claire graduated from Massey University in 2010 and joined our team in 2019. 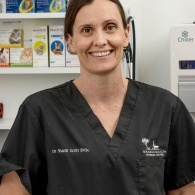 She has previously worked at vet clinics in the South Island of New Zealand; in Adelaide, Australia; and assisted with a charity stray dog desexing project in Rarotonga in 2018. 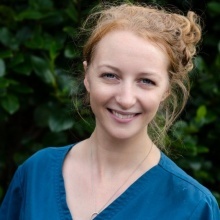 Claire enjoys the variety of companion animal veterinary work but clinical pathology, soft tissue surgery and dentistry in particular. She has recently moved to the local area and is looking forward to exploring the beautiful beaches. Outside of work she enjoys outdoor adventures and arts and craft projects. Eileen graduated with a Diploma in Veterinary Nursing in 1988 at Pretoria University. She has worked in a variety of mixed animal practices in South Africa, the UK and New Zealand as a Veterinary Nurse. She also has experience with both Equine and Canine physiotherapy. Eileen married a Kiwi bloke, Rhys and has two children. They moved back to New Zealand from South Africa in 2010 and settled in Manly. Eileen has been working here since 2010 where she has become a familiar face at reception. She runs our puppy classes at the clinic. Amber graduated from Unitec in 2012 with her Diploma in Veterinary Nursing and Certificate in Captive Wild Animal Management. She joined our practice in 2017 and is passionate about nursing our hospitalised and critical care patients. She also has a special interest in exotic species and wildlife rehabilitation (birds in particular). Amber is enjoying the beachy lifestyle and all the peninsula has to offer. She lives in Red Beach with her husband Joe and a collection of rescues - rabbits Benjamin & Lucy, guinea pigs Harvey & Chester, and cat Sadie. Bubbles has a commercial sheep & beef farm and has many rescue animals including 2 pigs, numerous goats, a bunch of chickens and her Border Terrier, Audrey. She also home-stays dogs and has a small cattery. Bethany has been with us since 2016, when she began a placement with us as a student nurse. She qualified with her Diploma in Veterinary Nursing 2017. Bethany loves all aspects of veterinary nursing, especially anaesthesiology. She lives locally with her family, 3 dogs, 2 bearded dragons, and a cockatoo. Jas graduated from Massey University in 2016 with a Bachelor of Veterinary Technology. Jas began her veterinary nursing career doing after hours work at a clinic in South Auckland where she saw many different types of emergencies. She has worked at Whangaparaoa Vets since 2017 and is passionate about nursing our critical care patients. She lives locally with her two cats, Blu and Penny, who are polar opposites of each other. Jo graduated with her Diploma in Veterinary Nursing from Wintec in 2017. Jo has a special interest in animal welfare & ethics. She also has a passion for anything to do with dogs! Jo helps run our puppy classes with Eileen at the clinic. Jo lives locally with her chihuahua Ella. 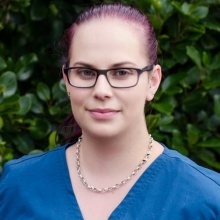 Vanessa graduated from Unitec in 2007 with her Diploma in Veterinary Nursing. She has worked in small animal practices since then and started with us in 2018. 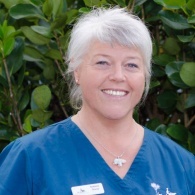 Vanessa enjoys all aspects of veterinary nursing - especially the variety and that no two days are ever the same! She currently lives on the North Shore with her partner and 4 cats, who are all named after famous musicians. In her spare time Vanessa and her partner like to go to live gigs and listen to music. Sharron was born and bred in NZ. She worked as a "human" Registered Nurse for 12 years, mainly in private practice, before deciding to make the switch to animals. 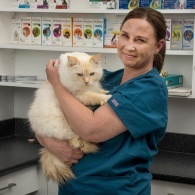 She started working at Whangaparaoa Vets in 2017. You've probably noticed her bubbly personality and smiling face at the reception desk! Sharron is enjoying all aspects of veterinary nursing. She lives with her husband, 3 teenage children, 1 dog & 2 cats. In her spare time, Sharron fosters cats and kittens. 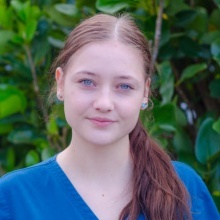 Kendall graduated from Vet Nurse Plus in 2018 as a Veterinary Nurse Assistant; and is continuing on to do her Diploma in Veterinary Nursing in 2019. 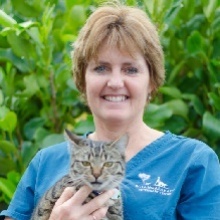 Kendall joined our clinic in 2018 and is enjoying looking after all your furry friends in the cattery. Kendall is passionate about animal nutrition and behaviour, and is looking forward to learning more as she continues to delve into the veterinary world. She lives locally with her family, 1 dog & 2 cats.